I've added a new blog, accessible on the Tips & Tricks tab below this home page. 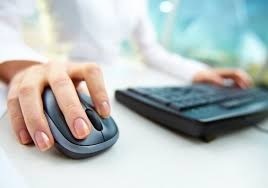 The new blog will be updated with posts about QuickBooks Desktop and QuickBooks Online, as well as Excel Tips & Tricks. Check back regularly for new information. Feel free to email me questions or ideas. 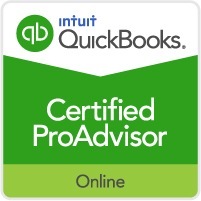 As an Intuit QuickBooks Certified ProAdvisor, I can provide you Excellent support and service as well as discounts on Intuit products. I am Certified in QuickBooks Desktop 2016, too. How can I help you with your QuickBooks? Jeff Bowman provides Business Management, Bookkeeping, Computer Troubleshooting, and Training services at reasonable rates ... so you can attend to more important business, personal and family needs. He has over 25 years business and personal bookkeeping experience with QuickBooks, and Quicken, utilizing both PC and Macintosh platforms. Business Management services include bookkeeping, bill payments, bank deposits, tax preparation assistance*. Bookkeeping services range from basic reconciliation of client maintained accounts/categorized transactions to full management of bank accounts (e.g. entering & downloading transactions to bank/credit card accounts and categorizing of transactions, not including actual bill payments or bank deposits). Computer Troubleshooting services include identification and resolution of most computer hardware and/or software related issues. Services are usually performed at his location, but can also be provided at the customer location either in person, or by remote access. In the meantime you can reach Jeff at 818-317-5542. He is looking forward to hearing from you. You can also contact him at his e-mail address: jeff@bowmanservices.net. If you are not familiar with BowmanServices.net and your first contact with us is online, let him know what your needs and questions are, he will be more than happy to help.